Ever since taking my first bite of Veal Saltimbocca in 1981 when I lived in Los Angeles, California, I have never missed an opportunity to order it in a good Italian restaurant. It is one of the most brilliant Italian dishes ever created. ‘Veal Saltimbocca alla Romana’ in particular holds a special place in the Roman dining experience and is often referred to as the quintessential king of Roman ‘secondi’ or entrees as we would call it in America. The name translates to ‘jump in the mouth’, from the luscious marriage of veal, prosciutto and sage in a delicate sauce of white wine and butter that will truly delight your taste buds! One whiff of the aroma of this classic dish either bubbling in the pan or when presented to you on a plate will send your senses soaring! One can never get enough of these superb little ‘scallopinni’ (thin veal cutlets). In some restaurants, I’ve even seen a few capers tossed into the final sauce. I tend to think that this dish is more of a perfect symphony in the mouth that can be enjoyed in reckless abandon! This post is the second in a series that I’ve written on the traditional dishes deeply rooted in ‘Cucina Romana’, the foods of Rome. Beginning with the first post on Spaghetti alla Carbonara, I’ll continue in subsequent posts about the savory staples of Caci de Pepe, Carciofi Alla Giudea (Artichokes), Bucatini all’Amatriciana, Gnocchi alla Romana and Roman-Style Pizza. This past May, when we stayed for a very brief week in Rome, we had a memorable lunch at Tre Scalini where we enjoyed their incredible Veal Saltimbocca alla Romana! Located on the beautiful Piazza Navona, we had perfect weather while we leisurely dined, sipped on wine, and watched people flurrying around the piazza. seated at white linen-covered tablecloths with fresh flowers, we’re ready to order! The local flavors of the region nurtured the development of a regional cuisine that can be traced all the way back to the shepherds who first came to the fertile, yet diverse landscape of Rome’s seven hills. Strong ties to the famous sheep’s cheese, Pecorinio Romano, continue to reflect that connection to Rome’s ancient past as well as to it’s contemporary recipes. The recipe for Veal Satlimbocca alla Romana may possibly have its culinary roots in Brescia in Northern Italy where prosciutto is produced and may have migrated naturally to the mid-section of Rome from the movement of shepherds. In sharp contrast to the life and traditional cuisine inspired by the shepherds and their flock, Ancient Rome was indeed infamous for the legendary sumptuous banquets that lasts for days and held by Rome’s wealthy and powerful aristocrats. These decadent and luxurious culinary affairs could comprise up to one hundred abundant courses or more. Therefore, the more simple foods of the region are known as ‘Cucina Romanesca‘ to distinguish them from the gluttonous dining experiences of Imperial Rome. Veal Saltimbocca all Romana in it’s delicious simplicity, is a lovely light entree, thus epitomizing the most ancient of times prior to the Roman Empire. I hope you enjoy this recipe! Let me know if you’ve ever tasted and/or prepared Veal Saltimbocca . 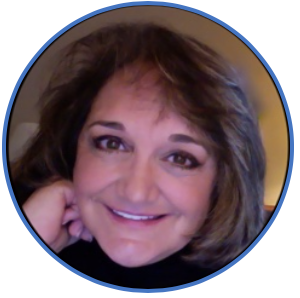 . . I’d love to hear your thoughts about what you like and how you prepared your special recipe! 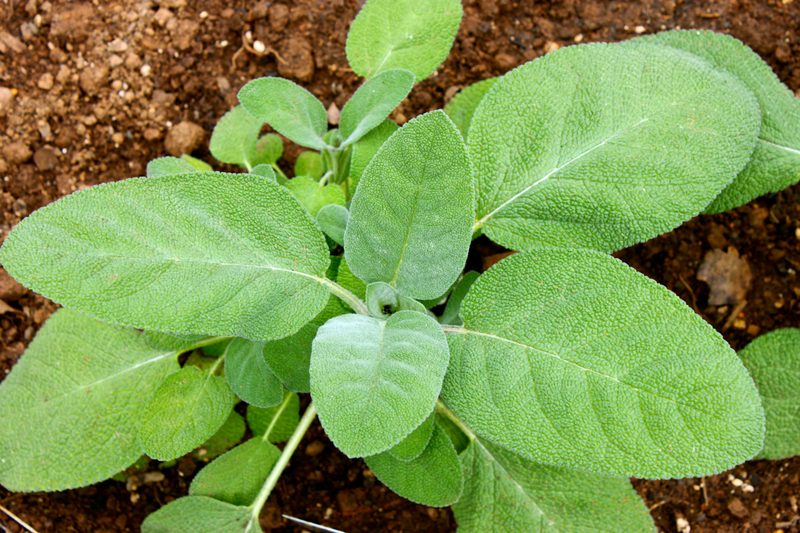 beautiful fresh sage in my garden instantly makes me think of making ‘Veal Saltimbocca’! No salt is used because the salty Prosciutto lends the salt needed. Place the veal cutlets between two sheets of parchment paper. Using a meat mallet, pound the veal cutlets until each piece is about ?” thick. Sprinkle each cutlet with some freshly-cracked pepper; salt is not necessary because of the salt that will come from the prosciutto. Lay 2 – 3 thin slices of prosciutto on top of each veal cutlet and place a toothpick between all 3 layers to secure. With flour on a large plate, dredge each veal cutlet in the flour, shake off any excess, and set aside. In a large skillet, heat the olive oil and butter over medium-high heat. Turn the veal cutlets over and cook until lightly golden brown, about 2 – 3 more minutes on a low-medium heat. Place the cooked veal bundles on a warmed plate and cover with foil to keep warm. Remove and discard the toothpicks. Pour the butter and olive oil out of the skillet and save it . . . don’t throw it away. After all veal bundles are cooked, increase the heat to high and add the wine or marsala to the skillet. Deglaze the pan and scrape up the browned bits with the wine or marsala. Cook the sauce until reduced by a third, for about 2 minutes. Return the veal bundles to the skillet, cook for 2 more minutes, with an occasional flip, until the sauce thickens slightly. Serve the veal with the sauce poured over the cutlets immediately. Serve two veal bundles per person. Just one shot of the incredible sites of Rome that we visited near Piazza Navona, just a short walk away: The Pantheon, once a temple for all gods, it is now a Catholic Church that is absolutely beautiful! 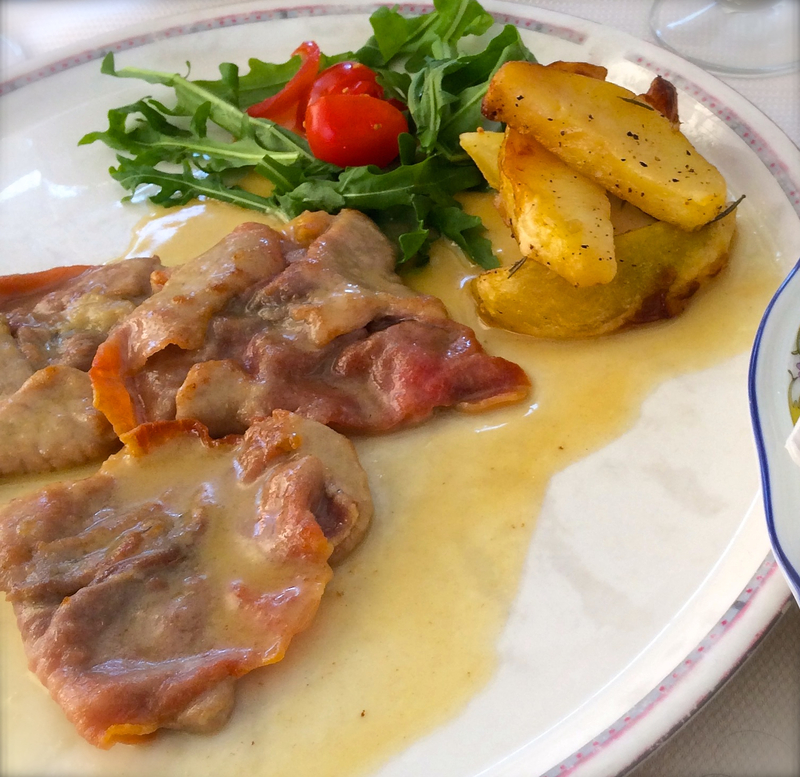 Enjoy this delicious Veal Saltimbocca recipe! I make chicken saltimboccca simply because veal does not seem to be available here. Love them both, bit it would be something to try it in Rome. Val, I love it anywhere if it is made correctly, but it sure was nice to enjoy it in Rome! Cheers! I only had chicken saltimbocca and it was so delicious..bet it tastes even better with veal. Your sage looks so healthy and good. I’ve never eaten Veal Saltimbocca but this post sure makes me want to. Oh my, we LOVE this dish!! Veal is our absolute favorite, and when it’s prepared as saltimbocca, it’s to die for! 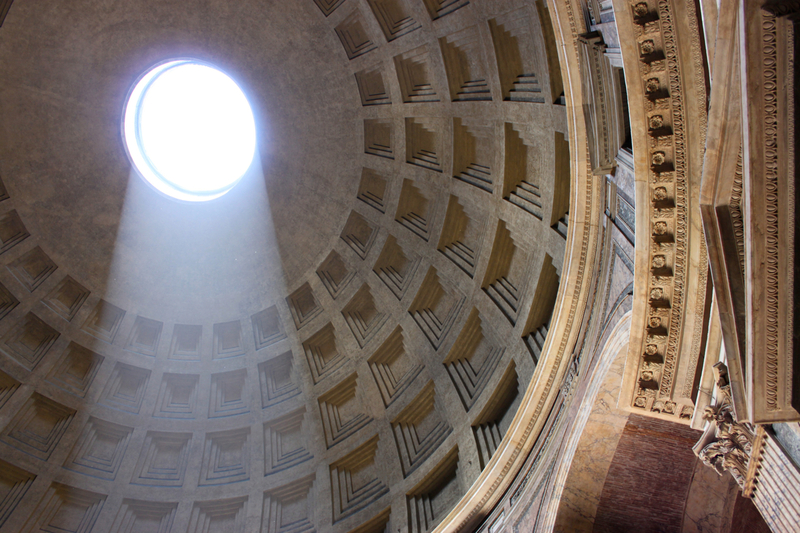 Beautiful photos of Rome and Piazza Navone. And, wow- the price of prosciutto is very high in Italy, almost the same price we pay here. Anyway, thank you for sharing your photos of Italy. Have a great week Roz! 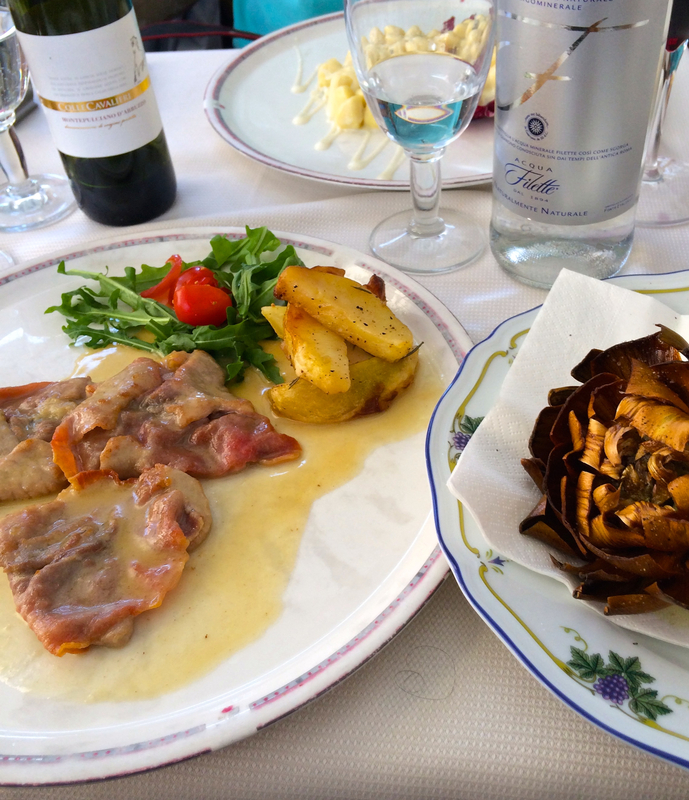 Just came back from Rome where I had the most delicious Saltimbocca. Nothing like the American versions with melted cheese over them. I thought I detected a hint of Pecorino Romano but perhaps not. Looking forward to the Cacio e Pepe recipe, especially the cheese(s) recommended.